Arabs from Judea, Negev steal sheep and vehicles from Jewish towns. An indictment has been filed against three Arabs from Jericho and the Negev town of Keseifa who are suspected of livestock thefts. The three are being charged with stealing lambs from three towns in northern Israel: 36 from the town of Beit Yosef, and 122 from the towns of Alma and Rehov. They are also being charged with breaking into homes and stealing vehicles from the town of Prazon in northern Israel, stealing a truck from the southern town of Kiryat Gat, and stealing calves from Kibbutz Hafetz Haim in the center of the country. Earlier this month, Border Police were rushed to the southern district, where the Arab thieves were seen preparing to steal a tractor from one of the local towns. The three suspects were arrested that night for stealing the tractor from the town of Pa'amei Tashaz and the tractor returned to its owner. On September 8, Border Police officers, both in uniform and undercover identified two trucks carrying stolen sheep. The trucks were improperly transporting 39 sheep which had been stolen earlier this week from the Arab village of Mu'awiya, located in Wadi Ara. The suspects, Palestinian Authority residents of Barta'a and Yabed near Jenin, in their 20s and 50s, were taken in for questioning. 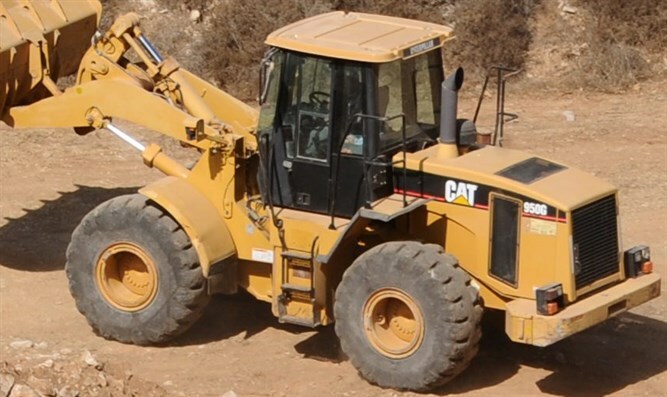 In July, a tractor stolen from the central Israel town of Karmei Yosef was found near the Ramallah-area Arab town of Budrus. Initial investigations showed that the thieves had attempted to breach the security fence while traveling towards the Palestinian Authority, but were forced abandon their loot.